When it comes to you and your family’s dental care, you want a long-term relationship with your dentist, somebody who will help improve oral hygiene for years to come. With so many reputable dentists in Virginia Beach, why trust Dr. Marybeth Fasano’s practice with your teeth? Our philosophy is simple. We listen to your concerns and provide gentle dentistry in a professional and comfortable environment. Whether you need a regular checkup, cosmetic dentistry, or restorative dental services, we offer quality care using proven, state-of-the-art technology to improve and maintain your health. We stand behind every dental treatment we perform, and strive to educate our patients and the community about various procedures like veneers, tooth whitening, crowns, implants and other advances in dentistry. We are proud to treat members of the military and families, and anyone in Hampton Roads in need of quality oral care. Experience & Reputation: When you meet Dr. Fasano, you’ll get to know a dentist who is passionate about her patients’ continued health. Not only is she a graduate of the top dental school in the United States, but she has been recognized by the National Consumer Advisory Board as a top dentist. Learn more about Dr. Fasano. Patient Comfort: The thought of going to the dentist should not fill you with dread. 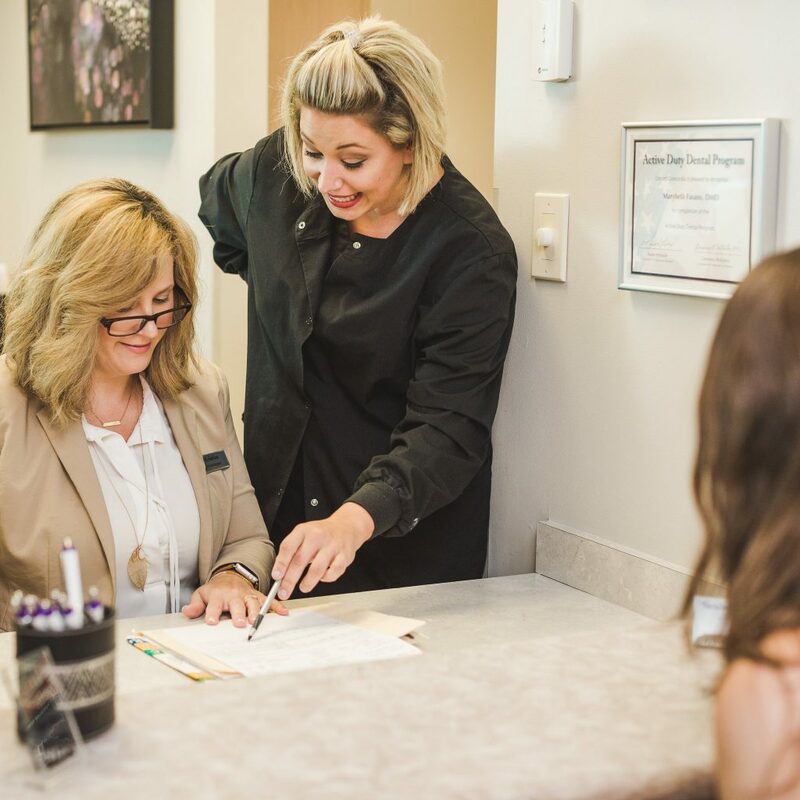 Dr. Fasano and her extraordinary team take utmost pride in providing an optimal dental experience, from your initial consultation to final result of your cosmetic, restorative, or general dental procedure. We give special attention to everyone’s comfort and safety, especially our younger patients, because we want to help you care for your teeth through all the stages of your life. Individualized Care: Dr. Fasano’s practice is small and private, and we don’t plan to change. We take the time to get to know our patients and encourage them to candidly discuss their oral health issues with us. When you come for your dental appointment, that time is all about you. We don’t double- or triple-book chairs because we want to give each patient the personalized attention they need. On-Time Appointments: At our Virginia Beach dental office, we value your time. Every appointment begins at the scheduled hour, so there’s little to no wait when you arrive. Contact us today at 757-412-2235 to learn more about our practice and to set up an appointment. Dr. Fasano is simply an incredible dentist! I knocked out my two front teeth when I was a kid and... read moreDr. Fasano is simply an incredible dentist! I knocked out my two front teeth when I was a kid and over the years have had to have them redone a couple of times. She fixed mine this week and they have never looked better. Because of her I have a new smile today and I am VERY satisfied with what she did for me. Her staff is amazing as well.... always helpful and courteous. I highly recommend her!